Pangolins are the most trafficked mammal group in the world. Native to Asia and Africa, pangolins are traded for their keratin scales – which are used both in traditional Chinese medicine and carved for decorative purposes – and their meat. China and Vietnam are the two main demand countries for pangolins and all eight extant pangolin species are now threatened with extinction. Estimates suggest that at least one million pangolins have been traded in the past decade. Although there is no population data for any pangolin species, the levels of observed trade and the patterns of exploitation strongly suggest that all pangolin species are in decline and that trade is the primary reason. Several intrinsic factors make pangolins vulnerable to overexploitation; pangolin species are relatively easy to hunt and, from the little we know of their biology, all appear to have low reproductive rates, giving birth to just one young a year. 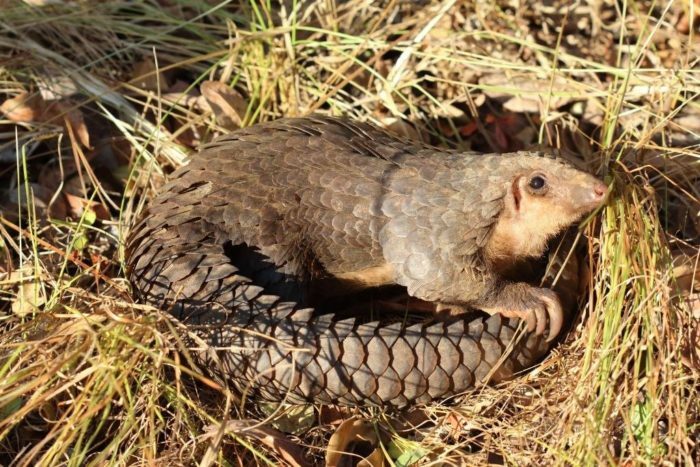 There are no successful conservation breeding programmes, despite a growth in concept of pangolin ‘farming’, for any species and their specialised diets of ants and termites make them incredibly difficult to keep in captivity, let alone breed. 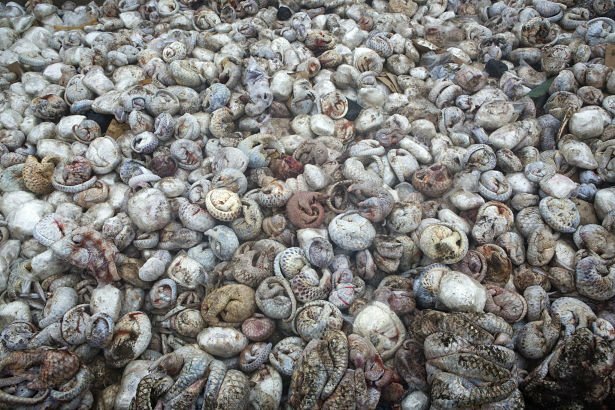 The successful conservation of pangolins will require effective monitoring of, and enforcement against, the illegal trade, much of which occurs across multiple porous borders and is facilitated by weak governance and corruption. Despite international protection on Appendix II of the UN Convention on International Trade in Endangered Species (CITES), illegal trade has significantly depleted pangolin populations in Asia, and African pangolins are now increasingly targeted; the past five years has seen a significant increase in trafficking of African pangolins with no sign of abatement – in mid-2016, Hong Kong Customs seized over 13 tonnes of pangolin scales in one month, confiscated in only three shipments originating from West Africa. 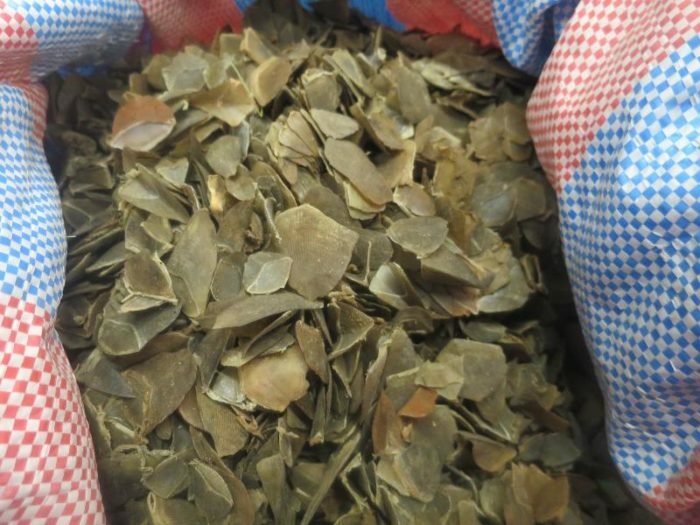 The huge volumes and frequency of such consignments indicates both widespread poaching and organised consolidation of pangolins, coordinated for rapid export to demand countries; indicative of organised criminal networks. There is a clear and pressing need for a coordinated response among relevant agencies and national governments. There are proposals in place for all eight pangolin species to be up-listed to Appendix I on CITES, which would give them the maximum possible protection under this convention. These proposals will be debated and voted on at the Conference of Parties in Johannesburg later this year and EIA is actively urging all relevant stakeholders and member states to support these proposals. All eight species meet the criteria for inclusion under Appendix I; trade is the most significant threat to the survival of pangolins. Strengthened CITES listings will be an important positive step for pangolin conservation but there remains plenty of work to do to identify, expose and dismantle the criminal networks that facilitate much of this trade.